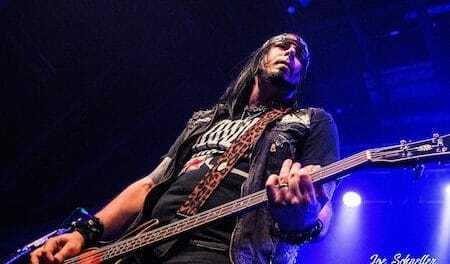 Kickin Valentina founding member and bassist Chris Taylor was recently interviewed by Rocker Fabbs. “Next up was the hometown Atlanta favorites — Kickin Valentina. The band has undergone a lot of changes since I first saw them play live at the Sleazy Slimey Sunday 3 in Hanover, Maryland, USA in early May 2018. Gone is the band’s long-time and original lead vocalist Joe Edwards after the latter bailed on the group just as it was about to head to play the Bang Your Head Festival in Germany back in July 2018. In addition, gone is Edwards‘ first replacement Brian Bezotte who apparently misled the rest of the Kickin Valentina guys on his availability when joining and who eventually quit after only five shows. 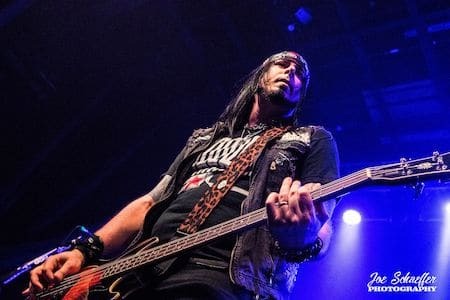 Even though Kickin Valentina definitely experienced some line-up issues and uncertainty, it appears that they finally found their man and an experienced one at that in former Jetboy frontman DK Revelle.